In the May/June 2017 issue of The Value Examiner, the authors gave a detailed description of how clinical services for physicians can be calculated. QuickRead is pleased to present an overview of this series, which will be presented in four parts. Please look for the more detailed analysis in The Value Examiner. This article is a follow up to the April 23, 2017 QuickRead article published by the authors. This second installment in this four-part series on the classification and valuation of compensation for physician services will provide a brief overview of the valuation process for the compensation of physician executive services. A more comprehensive look appears in the May/June issue of The Value Examiner. The economic value analysis for determining the fair market value (FMV) of administrative, management, and executive services is governed by the economic principles of Utility and Substitution. 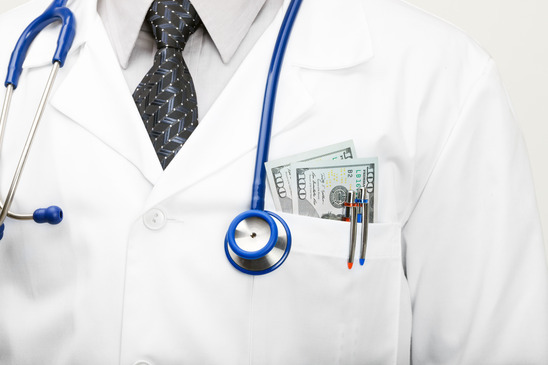 In the past, compensation for administrative, management, and executive services performed by physicians may have been based on the physician’s historical clinical practice earnings, which are similar to compensation arrangements that include physician clinical services. However, there is increasing concern from regulators that compensating physician administrators based on the “opportunity cost” for the physician executive may raise regulatory concerns under the Stark Law. Physician executive compensation should instead be based on the value of the actual services performed. While, in most circumstances, the opportunity cost of a physician provider of clinical-related services should not serve as the sole basis for determining physician executive compensation for the performance of administrative, management, and/or executive services, it is, nevertheless, important for the valuation analyst providing an opinion as to the FMV and commercial reasonableness of an administrative, management, and/or executive compensation arrangement to appropriately apply the economic concepts found in the Principle of Substitution and the Principle of Utility (which were also discussed in part one of this four-part series) in performing their analysis. It should be noted that compensation for nonclinical-related services provided by non-physicians should also be based on the actual services performed (which are distinguished by the TDRAs related to each position). In developing a certified opinion of value regarding nonclinical-related services, a valuation analyst should request and obtain all the requisite documents related to the proposed compensation arrangement(s). Once the requisite documentation is collected, a detailed examination of the attributes of the subject nonclinical position should be undertaken, with each element of the attributes of the role first identified as to their existence and then classified as to the specific factors and traits (i.e., the TDRAs) related to each attribute. This classification would exhibit how the subject services could reasonably be expected to provide utility, i.e., usefulness to the employer contracting for the professional/executive services to be performed going forward. While normative benchmark industry survey data may be sufficient to establish FMV compensation rates, further analysis should be performed to determine whether the arrangement meets the related threshold of commercial reasonableness. The third article in this four-part series on the valuation of compensation for physician services will discuss the valuation of compensation for call coverage services in the healthcare industry. “Healthcare Valuation: The Financial Appraisal of Enterprise, Assets, and Services” By Robert James Cimasi, MHA, ASA, FRICS, MCBA, AVA, CM&AA, Hoboken, NJ: John Wiley and Sons, 2014, p. 920. “The Managed Health Care Handbook” By Peter R. Kongstvedt, MD, FACP, 3rd ed., Gaithersburg, MD: Aspen Publishers, 1996, p. 159. For more information, please reference the article entitled, “Valuation of Compensation for Physician Services: Clinical Services,” which was published in the March/April 2017 issue of The Value Examiner. “Beyond Anti-Mark-Up: ‘Stand in the Shoes’ and Other Practical Implications” By Michael W. Paddock, Crowell & Moring LLP, February 2008, http://www.crowell.com/documents/Stark-Phase-III_Anti-Markup-Rules_Mike-Paddock.pdf (Accessed 12/18/12); “Health Law: 2007 Highlights and Reminders for 2008” Haynes Boone, January 10, 2008, p. 3. “Healthcare Valuation: The Financial Appraisal of Enterprise, Assets, and Services” By Robert James Cimasi, MHA, ASA, FRICS, MCBA, AVA, CM&AA, Hoboken, NJ: John Wiley and Sons, 2014, p. 921. Robert James Cimasi, MHA, ASA, FRICS, MCBA, CVA, CM&AA, is chief executive officer of Health Capital Consultants, with over thirty-five years of experience in serving clients and a professional focus on the financial and economic aspects of healthcare service sector entities, including valuation consulting and capital formation services; healthcare industry transactions, including joint ventures, mergers, acquisitions, and divestitures; litigation support and expert testimony; certificate-of-need; and other regulatory and policy planning consulting. Mr. Cimasi can be reached at: (800) 394-8258 or by e-mail to: rcimasi@healthcapital.com. Todd A. Zigrang, MBA, MHA, ASA, FACHE, is president of Health Capital Consultants, where he focuses on the areas of valuation and financial analysis for hospitals and other healthcare enterprises. Mr. Zigrang has significant physician-integration and financial analysis experience and has participated in the development of a physician-owned, multispecialty management service organization and networks involving a wide range of specialties, physician-owned hospitals as well as several limited liability companies for acquiring acute care and specialty hospitals, ASCs, and other ancillary facilities. Mr. Zigrang can be reached at: (800) 394-8258 or by e-mail to: tzigrang@healthcapital.com.